As these words are being written, it is August 2009, and Space BattleshipYamato is now officially 35 years old. The first TV series went on the air in October 1974, and it’s fair to say that this would be quite a different world had that not occurred. How many of you reading this can remember a time when you couldn’t buy anime in your local video or electronics store? How many of you remember when it was rare to find translated anime on TV, and even rarer to find WELL translated anime on TV? For that matter, how many of you can remember a time when most of the English-speaking world hadn’t even heard the word “anime”… Yamato was instrumental in making all that happen. Not single-handedly, to be sure, but the programs that pushed anime into the international spotlight can be counted on one hand, and on that scale Yamato may be worth more than one finger. This entire website is dedicated to learning about how the saga developed and the effect it had on anime in the years that followed. That’s also the topic of this essay by Yamato‘s producer, Yoshinobu Nishizaki. It was originally published in 1983, back when Yamato was on the shy side of 10 years old, but time has done nothing to dull its message. As we begin talking about the ten years of Yamato, we must not forget to mention Eiichi Yamamoto, Kazuaki Sato and Keisuke Fujikawa. They were my consultants when we were getting Yamato off the ground. Mr. Yamamoto and I had been working together since the production of Wansa-kun. This was just after he had completed work on The Sad Belladonna. Mr. Yamamoto was one of the few people in the world of Animation who understood drama. He also knew how to create a tight plot. Disney’s animation focused more on the magnificence of movement and music than the story or drama, and the plots were kept fairly simple to attract children. However, my focus was on the drama. 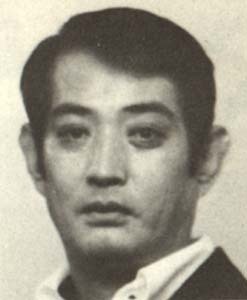 Mr. Yamamoto was very well read, to the point of being an author himself, and for directing scenes, there was nobody better in the animation world. The fact that he is still doing documentaries shows his versatility compared to others in the profession. He is very much the scholar, and he knows virtually every aspect of filmmaking. While there is nothing wrong with starting out as an animation director, their weaknesses tend to come from their writing. Mr. Yamamoto had come from a verbal background, so he held his own in the arena of storylines. My productions, including Yamato tend to be long stories that do not end in merely one episode. 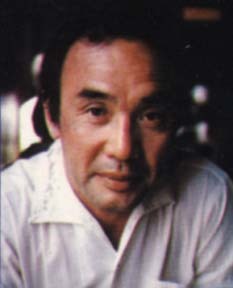 So my encounter with Mr. Yamamoto was very fortunate, since I was able to learn a lot from him. And since we both had similar goals to create stories that had a message for future generations, we weren’t merely writing the story for ourselves. At the time, the news was filled only with depressing stories of the oil shock or the Lockheed incident, but we wanted to let everybody know that there was more to the world. We wanted teenagers to know that as they went into the world, there was a bright future for humanity. I do not accept the dark, pessimistic views of humanity’s future. When bad things happen, I continue going forward rather than getting stuck in the past. This is the way I have always lived my life. When it came time to decide where to put this message, Mr. Yamamoto and I agreed perfectly with each other. We had long discussions regarding Yamato, and I took on the part of the storyteller while he became the dramatist. Although many people were involved in the making of Yamato, Mr. Yamamoto was the person I could truly call my partner in this venture. Our ten exhausting months working on Wansa-kun was a great learning experience for me. We complemented each other in areas we lacked as individuals, and I wanted to learn as much as I could from this master of the dramatic arts, because at the time I knew nothing about animation. Wansa-kun was a show with a high level of musical production. The music, the visuals and the humor were all factors that made the show great. By doing Wansa-kun before Yamato, we were able to experiment with the mixing of animation and music, and I can tell you that this took a lot of time, money, and energy. By utilizing the talents of Mr. Yamamoto, the composer Hiroshi Miyagawa, and myself, we were able to bring the core Yamato team together. Therefore, we really didn’t have to discuss things at length with Mr. Miyagawa for him to create the music for Yamato at a smooth pace. The core of Yamato came from my original ideas. Although there are many tales with heavily armed spaceships, I believe I’m the first one that came up with the idea for a battleship to fly in the sky. Many people thought of warships in space, but they never considered having a seagoing ship fly in the air. 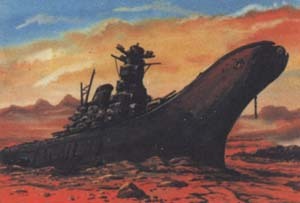 And we didn’t add the concept of the sunken WWII battleship, Yamato, until much later. What sets me apart from the others is I visualize the finale of a movie first. I visualized a ship flying in space with such clarity that this became my focal point. Rather than thinking up a story, I came up with the visuals first, then the music began flowing from this, connecting everything together. By reading manga and looking at artwork since I was a kid, by entering the music arena in my twenties, and listening to lots of music, all of these experiences helped shape who I am. I listened to classical music as a kid, and my family had important ties to traditional Japanese music, so I had a thorough exposure to all types of music. There was also a time in my 20’s when I had to earn a living as an announcer of Jazz bands at local clubs, even though I was clueless about Jazz at the time. But since I immersed myself in music, it’s only natural that I’d become involved with it later in life. I’m not the type that would stick to one medium only, ignoring all others. During my involvement in the music world, I went on a business trip to Europe to work with performers in Eastern Bloc Nations, ranging from the Soviet Ballet to the Peking Dancers, setting up their shows around Europe. Since I had some stage experience in Japan, I had little problem fitting into the job. I was able to become Road Manager/Producer within six months, and from then on, I was involved with music. Before this, however, I was involved with a stage group called Min-On, and I produced 260 shows that ranged from concerts and comedies to musicals. Looking back at it now, I was involved in a great number of shows as the Music Producer. I met Osamu Tezuka through his associate, and they wanted me to be his Production Manager. That was my introduction into the Anime world. They wanted me to organize and manage the various departments of Tezuka’s Mushi Production studios, to make sure the day-to-day activities ran smoothly, even when Tezuka wasn’t there in person. Everyone knows that Tezuka has deep roots in the field of animation. 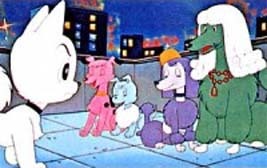 I had no clue about animation at the time, but as I started my work on the TV series Strange Melmo, I gradually grew accustomed to the craft. Then, as I began to produce my own work, I felt more responsible for my own production. When I was in my twenties, I had created 260 musical stage productions, and though not all of them were great, I never made excuses to hold me back from doing a good job. Animation was no different, and I intended to work on it with the same focus. 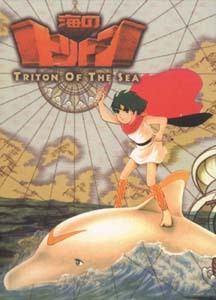 I wanted to sell what I produced, and Triton of the Sea was my first piece of work. Triton and Wansa-kun allowed me to gradually develop my skills and confidence as Producer and Director. I believed I had developed my own deep roots by the time Wansa-kun was finished. While I was developing my ideas for Space BattleshipYamato, I was also reading Heinlein. The SF books of the ’60’s fell into the categories of either high drama or hard science. Those that loved “hard SF” really got into it, but I felt that those stories wouldn’t translate very well into the visual medium. A buddy from my High School days, Mr. Aritsune Toyota, helped me work on the concepts. Since we were basically the same age, and I liked his story Asteroid Six, I found it was easier to bounce ideas off of him, even though there were many other SF authors around. With Yamato, we were not 100% sure whether to make it an animated or a live action show. I’d had discussions with Mr. Yamamoto on whether we should make it into a live action movie. After we showed the preliminary script to our agency, they decided to go with it as an animated series. The development division felt it was interesting, and they wanted to work on it. When we started development, however, there was nobody around who could pull it off. Mr. Shirato, Mr. Udagawa, Mr. Koizumi and Mr. Ashida are legendary now, but at the time, they were just starting out in the business. Since Yamato was such a time-consuming project, only young, energetic and enthusiastic people climbed aboard to work with us. If it weren’t for their youthful vitality, chances are they wouldn’t have survived the grueling schedule. We didn’t know who would fit where in the production, so by playing by ear, we found out who was into what. In the case of Mr. Noboru Ishiguro, his expertise meant we had to place him in a role that best suited his talents. He was more prominent in the animation world than I was, so it took me a while to convince him to join us. Once he was on board, he was a very enthusiastic team member. One of his specialties was the ability to read music and carefully meld it with the picture. This had allowed him to make great art since we began working together on Wansa-kun. 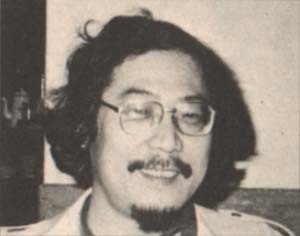 He was also a ravenous reader of SF, and knew more than I ever would about the genre, and was responsible for bringing Mr. Shirato and the others on board. 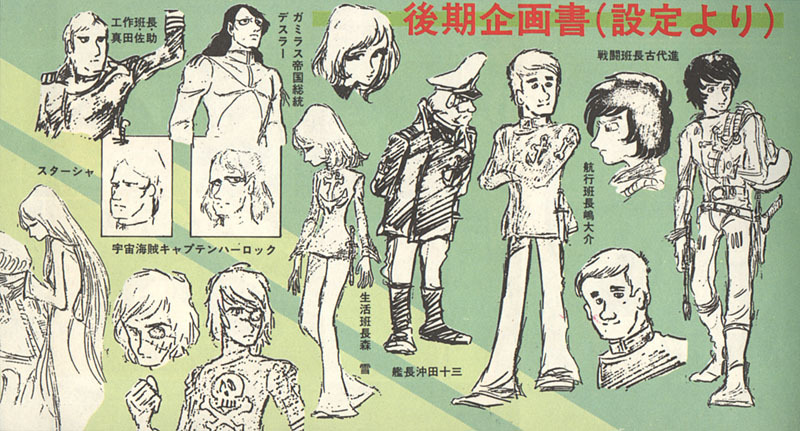 I believe the art demands for Yamato were fairly difficult for the time. A regular TV episode ran between 3,500 and 4,000 cels, but Yamato easily ran through 8,000. This was accomplished because of the dedication of many animators that eventually became respected names in the anime field, like Ishiguro, Tanahashi, Koizumi, Shirato, Udagawa and others. Although some bowed out along the way, the others placed their talents above monetary gain. 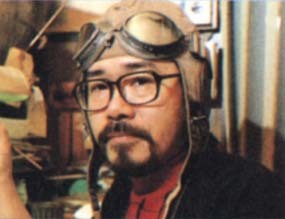 Leiji Matsumoto was originally hired on as the art director and became a planner later on. I was a fan of his works, even if he wasn’t as famous as Tezuka or Ishinomori (creator of Cyborg 009), but I particularly liked how his mecha artwork came alive and I was impressed by the fantastic imagery that flowed from his pen like music. Although I didn’t care much for his male characters at first, his female character designs perfectly captured what I had in mind. After I had finished the storyline for Yamato, I wanted to hire on a manga artist to illustrate the characters, and the first person I approached was Keiji Yoshitani. I went to his studio in Mejiro, but he declined my offer for the position because he was far too busy with his schedule at the time. The next person I considered was Leiji Matsumoto. As I mentioned before, his mecha drawings and concepts were what I wanted to animate, and his imagery of women floating against the background of space was perfect for the project. When I hired him as art director, he did the full range of character designs, mecha designs and more, all of which came under the single heading of “Art” at the time. The series ended in March, 1975. I had produced three programs; Triton, Wansa-kun, Yamato, but none of them had become hits. I figured I had no talent for good anime, nor the ability to make a popular TV show. I was depressed for three months as a result, because I had been so confident that Yamato would be a smash hit. After I got back on my feet again, I figured that if Japan was not ready for Yamato, then perhaps there was still a chance with foreign markets. I immediately began making arrangements to edit Yamato down for a foreign edition. But in order to do this, we needed money. Then I learned that money could be made by selling the rebroadcast rights. By putting Yamato and Wansa-kun together, we managed to sell the shows to Tohoku Shinsha Studios for a decent sum, but I had to really work at it. As a result of the rebroadcast, the series later became a hit. At the time, some fans created a doujinshi [fanzine] by taking photos off the TV screen, and they sent me a copy. I was quite pleased by this gesture of kindness. The idea of a theatrical release in Japan came around the beginning of 1977 from a staff member of Asahi Sonorama (a book publisher). He asked me, “I hear you’re focused on the foreign markets, but are you aware of the hidden fans on the domestic scene? Why not focus on them for a change?” That was fine for him to say, but we didn’t have a theater to screen it at, and the Japanese version of the movie was over 3 hours long. Nobody would touch it at that length. Because Yamato was my project, I just couldn’t find it in my heart to cut the film down any further. I had gone to the Herald and Shochiku Studios, and at least the Herald took the time to look at the 16mm print, we couldn’t even afford a 35mm version at the time. As my frustration level mounted, I considered some wacky ideas, like renting a theater for a day, charging the audience only 100 yen per person, then showing a mixed bag of Wansa-kun, Triton and Yamato. So I began looking around for a theater to showcase my work. I felt that the Shinjuku Gekijo theater would be a good place, having no idea at the time that it was part of a major theatrical chain (showing you how naive I was about how movie theaters worked). I asked them if I could rent the place for a day. They flatly refused, but a representative from the film world introduced me to the Tokyu Theater Group. That didn’t look like it was going to work out, either. In the end, I decided to spend my own money to make an event possible, and if that didn’t work out, then I was going to wash my hands of animation forever. Producers are a curious breed of people that need to find out one way or another if their projects are going to be a hit or a miss. The thought of leaving that question unanswered drives us crazy. I wanted to find out if I had any true talent for animation after working in the industry for over six years. I also acknowledged that just because I liked it, this didn’t necessarily mean the public would, too. If the box office results for the movie were poor, then it would verify once and for all that my work was no good. Plus, I wanted to share it with at least a few more people before I shelved it forever. The original 3-hour movie had to be condensed for its theatrical release. 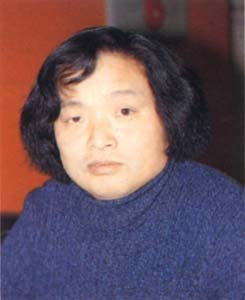 Two versions were created, one by Eiichi Yamamoto, and the other one by Toshio Masuda. After much consideration, Mr. Yamamoto decided that Mr. Masuda’s version was the best for a theatrical release, and this was the version that we used for the Premier. Mr. Yamamoto’s version still exists to this day, however. On the early morning of the premier in 1977, I saw this long line of people extending from the street to the top of this hill on the far side. As I approached, I figured it was for some other new movie that was premiering at the same time. As I continued walking towards the lower entrance of the Tokyu Rex Theater, it finally dawned on me that this line was entirely made up of Yamato fans. I was thunderstruck and deeply moved by this. 10 years of Yamato have finally come to a close. With each story, we explored a different theme. For example, in Farewell, we concluded with the death of Kodai. That may be where Yamato ended for some fans of a particular age group. And there’s nothing wrong with that. I think that every generation accepts things differently than the one preceding it, and Yamato has also evolved with the passage of time. The overall theme was about love and optimism. The flavors of each production varied depending on who was working on them. For example, if Eiichi Yamamoto were the director, his version would have a different feel to it than one by another director. You could say that every staff member had their own version of Yamato in their hearts. Also, I find it interesting that the kids who grew up with Yamato have now entered the animation field themselves, and they are making new programs. These people will be the ones creating a new generation of anime for the next 10 years. Well, the Yamato series is finally over. It seems to me that I have spent at least 10 years in each of my fields; theatre, music and animation. Whether I will be in animation for the next 10 years is anybody’s guess, since I haven’t yet decided what to do. I may decide to challenge myself in an entirely different venture. But I can say that a 10-year chapter of my life has come to a close. The previous experience I had gained through theatre and music allowed me to use those skills in the animation world. There, I was able to express my ideas and make them a reality, and this has given me another skill set to use in the future. Yamato steadily improved over these last ten years. Be Forever began use of the Scanimation process, and we are now using computer graphics. Because of this, Yamato is among the top ranking animated feature films. This is something we can take pride in. With Final Yamato, we did not feel satisfied by merely copying what we did before, so we were bent on improving our craft. From the music to the sound effects, we wanted to enhance the production quality without sacrificing anything that had made Yamato great. Yamato led the way to the animation boom, but I also felt that we should still push the envelope and do what no other production had done. So, in conclusion, I believe that Yamato was the pioneer of the anime industry. This entry was posted in Articles (Final Yamato), Yoshinobu Nishizaki by TimEldred. Bookmark the permalink.